The best hallway decor visually connects various areas. Combine a neutral paint color with elegant lighting to brighten the space. Learn more on how to complete your interior design on our blog. Versatile, impactful, and on trend, pendant fixtures are a fun, easy way to create a designer-inspired space and brighten your most-used areas. 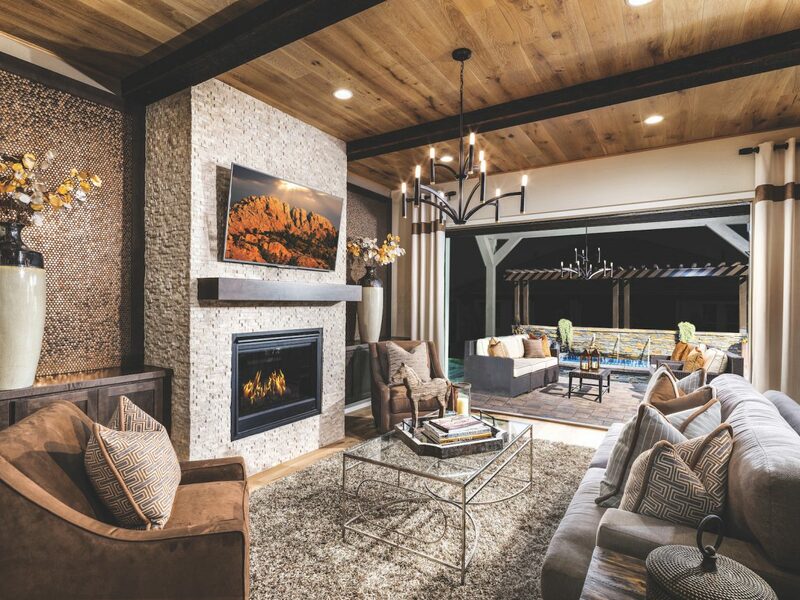 These timeless pieces perfectly complement your luxury Toll Brothers home. Check out these five breathtaking looks to illuminate your favorite spaces and bring your design concept to life. From coastal to luxe, to farmhouse or transitional, there are pendant fixtures sure to complement a variety of modern design styles. Be creative by mixing and matching pendants that have different design styles and heights. 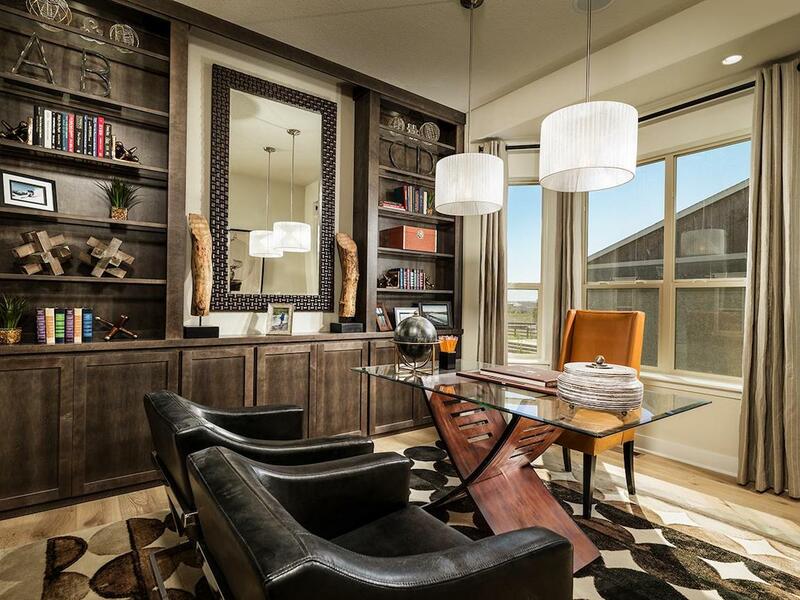 Increase harmony or elevate the feel of your space by creating an asymmetrical focal point. Customize your rooms by displaying your light fixtures singularly or in groupings of two or more. Friends and family will love the stunning effect your pendants have when combined with the luxury detail of your home. This spacious kitchen features a series of three industrial pendant fixtures by Progress Lighting. The subtlety of industrial lighting delivers an unexpected, exciting touch that creates an intriguing focal point. Is your look more traditional than contemporary? Consider incorporating pendants instead of a traditional chandelier for your next design project. Beautiful Glimmer pendants by Progress Lighting are a great option when looking to highlight accent pieces or create a conversation starter. Interested in brightening up your room? Choose fixtures that cast a warm light in spaces that are without natural light. 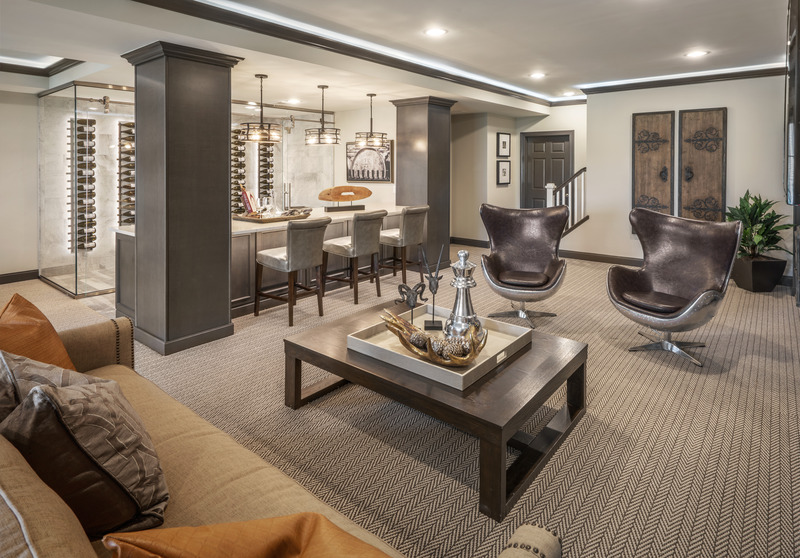 An open cage design, such as Progress Lighting’s Remix pendants, complements the neutral color palette and comfortable furniture in this beautifully finished basement. 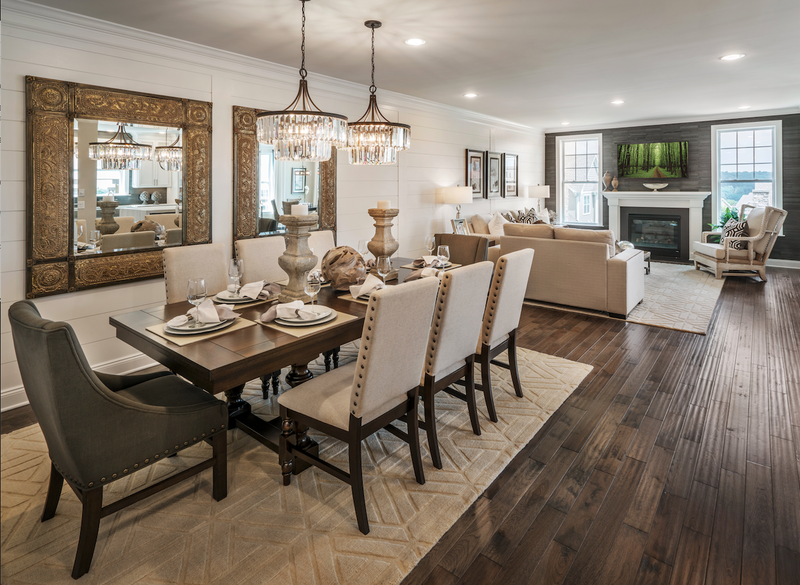 Accentuate your high ceilings or painted trim accents with intricate Glimmer pendants. Build a romantic atmosphere with beautifully elegant accessories, such as in this master suite. Find inspiration in this home office space which features a pair of Markor pendants over a sleek and elegant glass table. Whether you’re sitting down with a cup of coffee or working from home, this cohesive design perfectly synchronizes with the tone of the room. To learn more about design styles or a community near you, visit our Pinterest page or website at TollBrothers.com. For further design inspiration – or to view more stylish and versatile pendant options – check out our vendor partner, Progress Lighting. 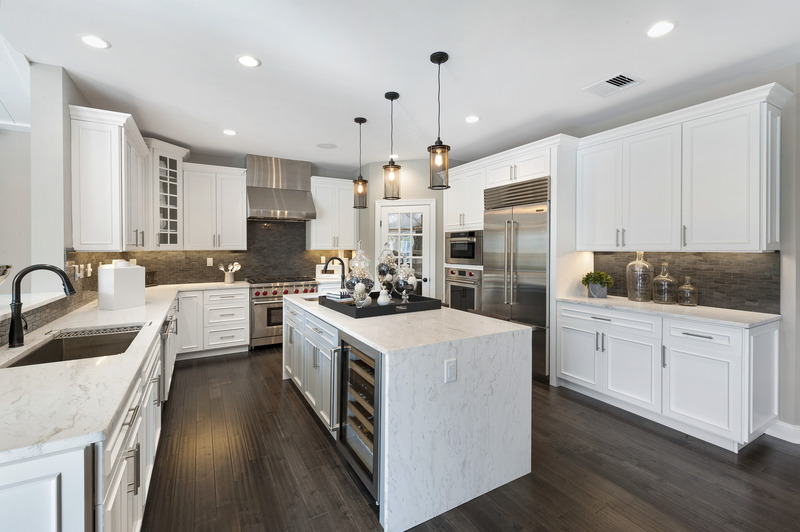 Toll Brothers partner and leading lighting manufacturer Progress Lighting contributed to this story.